Herefordshire Cider Cycling – Ledbury01531 635024work Cycle RouteWhat better way to see, hear and smell the beautiful Herefordshire countryside than by bike! Stop on a whim, admire the detail of the scenery and meet the cider producers who welcome visitors to share their passion for cider and perry. 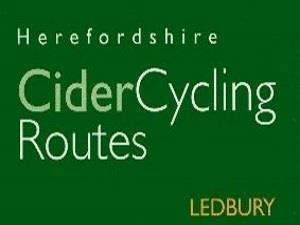 Herefordshire Cider Cycling - Ledbury. Follow the 20 mile loop, viewing the spring daffodils or explore further along the recommended detours along quiet lanes in one of England’s finest cider growing areas.